Subscribe to T3 magazine now! Subscribe now for the latest and best tech news, reviews and features, with a choice of subscriptions across print and digital. Make your life better through technology with a T3 subscription – available in print or digital, or both with our complete print + digital bundle. 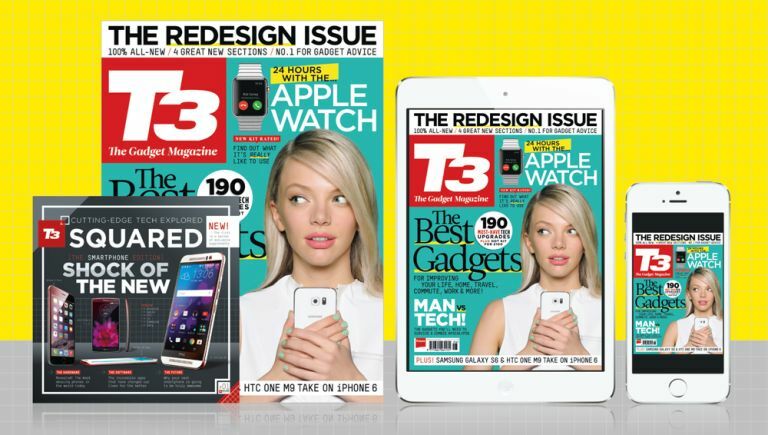 Get your first 2 issues of T3 FREE! Subscribe to the digital edition of T3 via Apple or Google and you'll get the current issue and the next completely free with our 30-day, no-obligation free trial. Our award wining, fully interactive, iPad edition also includes 360-degree product hands-ons and HD photo galleries, as well as being home to the latest and greatest news, reviews, opinion and previews on gadgets, technology, gear and apps. Want to test out the latest home cinema system with us?